The Volusia County Robber forgot to wear gloves when he rang the man’s doorbell. The Volusia County deputies were able to apprehend an individual who tried breaking into an elderly couple’s home using the fingerprints he left on the doorbell. According to the suspect’s arrest warrant, the Volusia County Robber rang the doorbell to make sure no one is at home. Last week, the Volusia County Sheriff’s Office announced that 41-year-old Jason Braun, an Edgewater resident, has been taken into custody and charged with attempted robbery. According to the authorities, five months ago, an unknown individual tried gaining access inside an apartment owned by an 81-year-old man. Seeing that there’s no one home, Braun proceeded to break one of the home’s windows. Unfortunately for Mr. Braun, the homeowner was inside the apartment and heard the commotion. Allegedly, the individual took out his gun and fired three or four shots towards Braun who was trying to enter the house via the broken window. The suspect managed to escape before the authorities arrived. With very little information from the eyewitness, the authorities began searching the premises in an attempt to uncover a clue that might lead them to the perpetrator. Upon penning down the 81-year-old man’s statement, he recalled hearing the doorbell ringing before seeing the suspect trying to break into the home. The forensic team managed to recover an undamaged set of prints from the man’s doorbell which were later sent to the lab for analysis. Five months later, the results confirmed that the fingerprints matched Braun’s, who was wanted in connection with another burglary. The suspect was taken into custody without any incidents. Later, the Volusia County robber confessed the deed and was booked into the county jail. The authorities charged Braun with trespassing and attempted robbery. Additional charges might be added after the investigation is completed. Bandai Namco CEO announced that the remastered version of Dark Souls is on its way. Even though we still have to wait some more before we can play Cyberpunk 2077, there’s still some hope of playing something fresh. During a recent press conference, Bandai Namco’s CEO announced that Dark Souls the first would soon receive its remastered version. When it comes to awesome graphics and nerve-wracking combat, probably the first name that pops into your mind is Dark Souls. Albeit not eye-candy like other triple-A RPG games out there, Dark Souls does have its allure – dark dungeons, brooding story, and foes that give you goose-bumps long after you’ve stopped playing the game. Probably Dark Souls is the first RPG game out there, besides Gothic I, of course, which coined the adage ‘Git gud or die trying.’ Unfortunately, the game had a rather rough start. Since it was a console exclusive title, the PC version available today is naturally a port. Granted that not all ported games are bad, but Dark Souls was not on this list. Choppy controls, too many action buttons, and the list goes on and on. Up to this day, the only way one could fully enjoy the thrills of Dark Souls is by downloading and installing unofficial patches and fixes. However, this will be the end of patching and tinker with the game. Bandai Namco CEO’s recently announced during a press conference that the game would receive its long overdue remaster version. So, what does this exactly mean? The usual 4K and 60 FPS resolution support, top-notch graphics, and, of course, controls optimized for PC. Game-wise, the devs did not say anything, which makes assumed that the story and characters will remain the same. 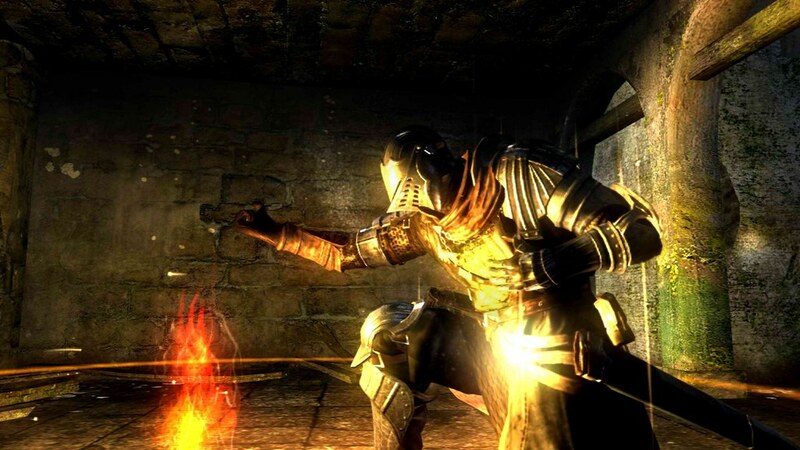 The remastered version of Dark Souls is scheduled to hit the game market in late May. A couple from South Carolina wants to take legal action against Amazon after purchasing a pair of broken eclipse glasses. The pair claims to have used the glasses the entire time during the eclipse, but they still experienced pain and vision impairment afterwards. Now, the couple proposed a class action lawsuit against the retailer for commercializing defective products which damaged their vision. The lawsuit was filed in court on Tuesday. The couple, Corey Payne and Kayla Harris, bought the eclipse glasses three-pack sometime at the beginning of August. Since the pack was sold on Amazon, they thought the glasses were safe for the eclipse viewing, and that their eyes won’t suffer any damage. On August 21st, they watched the eclipse while wearing the Amazon glasses. They kept them on the entire time, and didn’t look at the sun without wearing them. However, later in the day, they felt their eyes watering, and started experiencing headaches. Over the next days, their vision got blurry, and the images they perceived got blurry. Amazon didn’t release any comments immediately after the lawsuit was issued. Later, the company admitted that some of the eclipse glasses they sold might not have been safe. Starting August 10th, they claim to have issued a recall on some of these glasses, as they haven’t been manufactured by trustworthy producers. Amazon says it has emailed customers and informed them the company couldn’t check if these glasses were up to the safety standards. However, the retailer didn’t reveal how big the recall was, or where these glasses might have come from. Payne and Harris received no notice of this recall, so they have more reasons to have issued this lawsuit. Now, they are looking for other people in the same situations, who didn’t receive any information regarding a recall, and damaged their viewing due to using improper eclipse glasses. A Harvard study found that for nearly four decades, ExxonMobil downplayed the risks of climate change publicly even though its execs acknowledged that there is a real threat, in their internal communications. the study authors wrote in their research paper. The latest study can only add to the controversy around the gas and oil giant and its public policies concerning climate change. Exxon commented on the study and labeled it as preposterous and inaccurate. The company believes the paper was paid for and written by activists. However, the Harvard team sifted through nearly 190 communications from the company about climate change. The oldest communications were dated in 1977, and the newest in 2014. The files included internal papers, peer-reviewed studies funded by the company, and “advertorials” in the nation’s leading newspapers. Researchers found that Exxon expressed doubt climate change was real when addressing the public, but acknowledged its existence in private settings. The advertorials highlighted only the uncertainties of the climate science and pushed for a narrative that contradicted the main consensus on the phenomenon. In its internal communications, the company acknowledged that climate change is a “real, human-caused” phenomenon. The company also believes that it could be reversed. Around 80 percent of the internal communications reviewed in the study showed that climate change is real and man-made. By contrast, just 12 percent of the advertorials acknowledged climate change as a real phenomenon. Eighty-one percent of its advertorials, however, cast doubt on the authenticity of the phenomenon. For example, one document internally released in 1979 acknowledged that the buildup of carbon dioxide in the atmosphere can lead to the “warming of the earth’s surface”. That document also warned about “dramatic environmental effects” before the year 2050 tied to fossil fuel use. Foreign Affairs reporter Jay Solomon was fired recently from The Wall Street Journal because he had broken ethical rules. On Wednesday, he was fired because source documents indicate that he had become involved with Iranian-born mogul Farhad Azima. The AP reports that, however, there is no clear evidence that Jay Solomon had accepted any offer from Azima. The news took the media by shock because he was a veteran in the Foreign Affairs reporting. The scandal revolves, mainly, around the idea that Jay Solomon was offered a $750m deal with the United Arab Emirates. Accordingly, major U.S. reporters’ organizations traded rumors and surprise and Slack and Gchat. Especially because the Foreign Affairs reporter Jay Solomon clearly broke the ethics rules of journalism. The relation between Jay Solomon and Azima began several years ago, when the reporter started writing a series of reports on and about the Iranian-born mogul. And the email exchange between the two, while it doesn’t clearly indicate an acceptance on Solomon’s part from Azima, incriminates the former with breaching the ethics code of his profession. “I clearly made mistakes in my reporting and entered into a world I didn’t understand”. “But I understand why the emails and the conversations I had with Mr. Azima may look like I was involved in some seriously troubling activities”. However a veteran in the journalism field, including the existence of contacts of the said reporter, having expertise and influence, the Former Affairs reporter Jay Solomon has no excuse, voices say, for his behavior. Because, while a journalist and breaching an ethics code, will betray readers’ trust as far as his impartiality is concerned. Volkswagen settled another one of its cases that regard the Californian clean air standards. On September 18th, 2015, the United States Environmental Protection Agency found that Volkswagen bypassed the Clean Air Act. The automaker installed engine control units in an inappropriate way. Two years afterward, the emissions scandal is still unraveling its large array of consequences. The company has to cover a settlement to a total of 10 states, including Washington. This is the first time these states managed to demand prejudices according to the Clean Air Standards legally. On Thursday, Volkswagen managed to solve another hurdle of its 2015 emissions scandal. The German automaker agreed on its settlement with 10 American states, leaving behind another series of lawsuits. Thus, the company is going to cover prejudices amounted to $157 million. The multi-million funds will go to Oregon, New York, Connecticut, Massachusetts, Maine, Pennsylvania, Delaware, Vermont, Rhode Island, and Washington. All these regions adopted the Californian clean air standards. This settlement is not the same one with a 2016 agreement that was made with a total of 44 states for $603 million. Last year, the lawsuit involved products with 2-liter engines. This time, the settlement regarded vehicles with diesel engines with six cylinders and a capacity of three liters. Eric Schneiderman, the New York Attorney General, stated that this victory marks the first time when the ten states above received penalties according to their own emissions laws. This is not just a one-time case. This settlement will mark a historical precedent. Experts are sure that this case will prove to be an unfailing pillar in the future federal endeavors. This is because the President of the United States expects fund cuts for environmental enforcements, leaving California and New York alone in their fight against infringements of clean air standards. Since the outbreak of its 2015 emissions scandal, Volkswagen had to cover a total of $20 billion expenses. These costs went to car repairments, bought back vehicles, and a series of lawsuits and civil fines related to the environmental impact of its products. The silver lining in all these clouds is that EPA allowed the company to put on the market a series of cars with 2015 model diesel engines. These proved to have everything in order according to the clean air standards. BuzzFeed is the voice of the new generation and it might go public in 2018 as a media tech company. BuzzFeed has been around the block for ten years now. Not only that, but the company managed to introduced a new type of media format that suits the needs of modern society best. The centerpiece of its agenda is creating and promoting viral content. This term denominates a part of viral marketing that is powerful enough to create a phenomenon where many readers are promoting and sharing the post through their social media profiles because they loved it so much. According to several reports, the company is preparing itself for a 2018 IPO as a media tech company. According to several reports published in the media, BuzzFeeds has big plans for the year to come. The company is already getting ready to file for an initial public offering. This means that everybody will be able to acquire stocks in one of the most resounding media companies of the modern society. Moreover, this move signals the company’s endeavor to create a source of capital for an explosive business expansion. BuzzFeed managed to build a large community of professionals over the years. The online website makes it a usual thing to publish content on a daily basis. Moreover, each piece has the potential to become viral content. This gigantesque work is possible thanks to its own community of reporters, cartoon artists, contributors, and also amateurs. The move that propelled the company towards this decision in an instant was a huge November event. This was when NBCUniversal decided to invest in BuzzFeed a total of $200 million. The goal of these large funds was to accelerate the growth of the company. The two organizations also have a partnership regarding the advertising domain. Thus, as long as BuzzFeed is successful, so is NBCUniversal going to be. The CEO of BuzzFeed, Jonah Peretti, stated that he received many buying offers from media companies over the years. However, he has no intention to give up on its huge project. This is why he left the selling idea for the intention of filing for an IPO in the first half of 2018. If these plans succeed, the company will open an opportunity door for all modern online media platforms that transcended the traditional format of newsfeeds and obtained a hybrid between a media and a tech company. The CEO of Buzzfeed has also mentioned that the platform will obtain the title of a media tech company once it goes public. Denmark has just approved new taxi law that is banishing Uber away. Uber Technologies may be managing a system of taxi cars. However, the company proclaimed itself as a tech organization that only provides a platform and a set of services. This definition presented a new concept that took lawmakers aback. Thus, in the lack of a specific law text, Uber took entire countries by storm and presented the first modern alternative to traditional taxis. However, the political theater seems to be catching up with this type of startups. A new taxi law in Denmark has just put a strain on Uber. In light of the political movement, Uber announced that it would cease its activity in Denmark on April 18th. However, the company will not leave entirely without a fight. The new taxi law stipulates the request for obligatory gear. This is seat sensors and fare meters. Most of the traditional taxis are already endowed with this mandatory equipment. However, it is a serious problem for Uber. The ride-hailing company doesn’t own any of the cars that pick up their clients. Instead, it reinforces strong collaboration between the company and its contractors, which are the drivers themselves. This party has to provide the vehicle while the company takes care of the logistics and other technical aspects of the business. Thus, it is not up to Uber to upgrade the cars according to the new taxi law. Uber has been active in Denmark since the year of 2014. However, the company met great resistance against its business format within the country. Local taxi drivers, organizations, and even politicians criticized Uber for its lack of respect for their legal standards. Over the past three years, Uber managed to employ around 2,000 Danish drivers and gain a community of 300,000 users. The company has also opened headquarters in Aarhus that is taken care of by 40 engineers. The location does not only operate locally, but it provides tech solutions for international Uber services. Even though on April Uber will withdraw its practices from Denmark, the company plans to keep the Aarhus location up and running. Underwriters have finally recognized Snapchat as a good investment for Wall Street firms. Wall Street was buzzing on Monday with the array of banks that gave their blessings to Snapchat. While they highly advised their clients against this initial public offering in the beginning, the vanishing messaging app has just received an impressive number of “buy” ratings. There were a few “hold” ratings among them. As a consequence, several small Wall Street companies considered Snapchat a good investment and hurried to buy some shares. On Monday, the shares of Snap Inc. soared almost 5%. The event came soon after several IPO underwriters reevaluated the company and gave it a much needed “buy” classification. It did not pass an entire month since Snap went public. While this was the boldest IPO move coming from the tech industry over the past three years, the trading was unstable. Many investors frowned upon the company losing massive waves of users. They were enticed by the upgraded copycats over other social media platforms that offered them more features than Snap. In light of the lost momentum, analysts registered either neutral or negative ratings. Despite a powerful start, Snap turned out to be one of the most disapproved stocks on Wall Street. However, things changed for the better on Monday. At least eight banks related to IPO released positive ratings. Some of them were even Goldman Sachs and Morgan Stanley. As a consequence, Snap had its shares soar 4.79% to $23.83. The reason behind this sudden change in the evaluation was the potential of the company. Snap Inc. is currently dealing with an accelerated decrease in users number, strong rivals, and negative revenue because of massive expenses. However, analysts expect for all this to turn for the better. Their explanation lies in the difference between complex business formats like Facebook and the startup Snap. While others tapped into a large list of monetization strategies, Snapchat is still at the beginning of converting its business into a profitable one. Thus, Snap won the day by revealing its growth potential. Moreover, analysts consider that the remaining community that chose not to leave Snapchat is loyal to their favorite social media. Once the number of users grows steady, publishers will start asking for more ad spots on the ephemeral messaging chat. China Southern is in talks with American Airlines over a shareholding strategy to boost global airline routes. China Southern Airlines Company Limited is the largest airline as far as the fleet is concerned in China. The organization consolidated a great position at a global level as well. It is the fourth largest carrier that transported the most passengers in the world. Along with Air China and China Eastern Airlines, it is known as the Big Three airlines in the country. As of recently, the company admitted a negotiation line with the American Airlines. This new collaboration might spark up the industry and improve global airline routes. China Southern Airlines Co. saw its shares rise to their highest value in the last three months. This boost was generated by the latest news. Asia’s biggest carrier admitted that it opened up the discussion of a possible tie-up with the American Airlines Group Inc. The collaboration might allow the American airline to buy a stake of China Southern. On Sunday, during an exchange filing, the Chinese company confessed the possibility of a market strategy with the American Airlines over a stake purchase, but also other business ideas. On Monday, the stakes proliferated 5.3% to HK$5.74 in Hong Kong. The first similar collaboration occurred as recently as 2015. Delta Air Lines Inc. purchased a 3.55% share in China Eastern Airlines Corp for a total of $450 million. Thus, the newly opened negotiations can make the American Airlines the second U.S. airline to be the owner of a Chinese carrier’s stake. This initiative comes on behalf of the Chinese company. The capital city, Beijing, is in full operations to expand its global airline routes. However, it needs the support of private capital to make things happen. The mixed-ownership strategy is, in fact, a power unity that can improve key aspects in the organization. China Southern Airlines needs better competitiveness and efficiency to become a first-tier company. At the moment, China Southern has routes from Guangzhou to key cities in the United States, such as New York, Hawaii, Chicago, and Boston. It is also part of the SkyTeam alliance. The company is already collaborating with other two American carriers, namely Delta and Virgin American. Together they share a number of same flights.